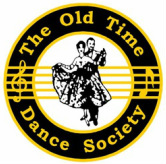 I enjoy the old time dancing style and as a member of The Old Time Dance Society I gradually became more and more involved in the organisation. In 2003 I took on the role of Membership Secretary as a non Committee member and I was elected onto the Committee in 2004. I continued to look after the membership and also helped out paginating the Society’s newsletter. Vice Chairman from 2009 to 2012. Events Secretary from 2010 to 2014. 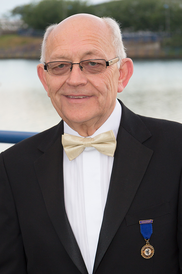 Chairman of the Committee from 2012 to 2014. ​Continuous Society member since 1994. Hazel & I led on the Friday night at the Pavilion, Weymouth, 28th October 2016. Hazel & I led on the Saturday night at the Assembly Rooms, Bath, 25th October 2014. Hazel & I led on the Saturday night at the Assembly Hall, Eastbourne, 26th October 2013. ​ASHFORD - Kent, Godinton Village Hall, Loudon Way. TN23 3JJ. 2nd Sunday in month 6.30 - 9.30pm. Refreshments included. BATH - Old Time Dancers - Saltford Hall, Wedmore Road, Saltford. BA31 3BY. ​Meet one Friday every month 7.30 - 10.00pm. CULM VALLEY - Merrymakers, Ash Thomas Village Hall, Nr. Cullompton, Devon. OT & Popular Sequence, Victoria Hall. Saturday dances 4th Saturday. See diary. LETCHWORTH GC - Herts, Central Methodist Church Hall, Pixmore Way. SG6 3TR. 8 - 10pm. 2nd Tuesday in month. LONDON - Kentish Town, Luther Tyndale Ch Hall, Leighton Crescent, Leighton Grove. NORWICH - Canary Club, Rosary Road, Thorpe Road. NR1 1RT. ​NORMANDY - Summertime Dancing. Surrey, Village Hall, GU3 2DD. Mondays 1.45 - 4.15pm. from Jan - Dec. except Bank Holidays. Presbyterian, Church Hall. BT32 4LQ. from Sept to June £2 including supper. Monthly 2nd Sunday 2pm to 5pm. Contact: Grahame & Bernice Baldwin. SHEFFIELD - Precious Dancers Newton Memorial Hall, Cowley Lane, Chapeltown. S35 1SX. 1 mile from jn35 M1. 2nd Sunday 1.45 - 4.45pm. Please check with the organisers that the Club is meeting on the day of your visit to avoid disappointment and wasted journey.